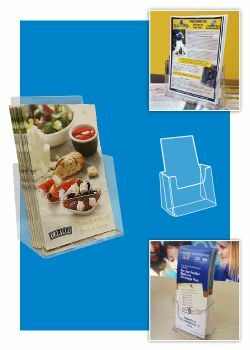 When you have important printed materials to distribute, our molded free standing countertop literature and brochure holders are a great choice to stand out and get your in store marketing materials distributed. 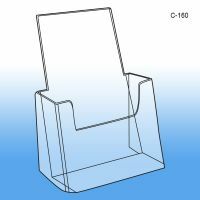 We have an extensive line of different styles and kinds of brochure holders for wall, on a countertop and outdoor. 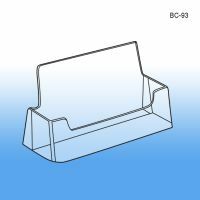 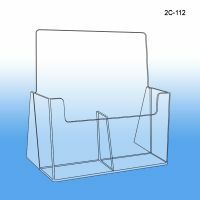 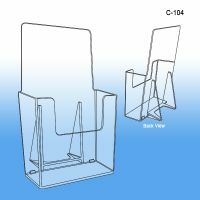 Acrylic brochure holders are very sturdy by nature and will hold up in a busy retail type environment. 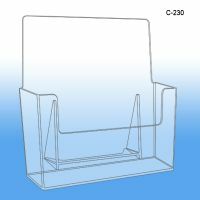 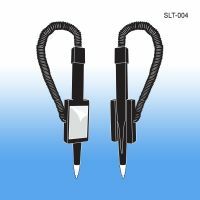 Count on Clip Strip for all your literature product display materials.